Well here they are! Born on 30th of July, between 1 am and 4 am, 1 girl and 3 boys! 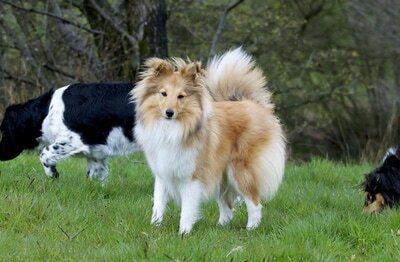 All healthy and happy, and gaining weight well, and Sky is a natural with them (as you'd hope of course!) I'll be regularly updating their page on our website, so keep an eye on it, click on the button below! 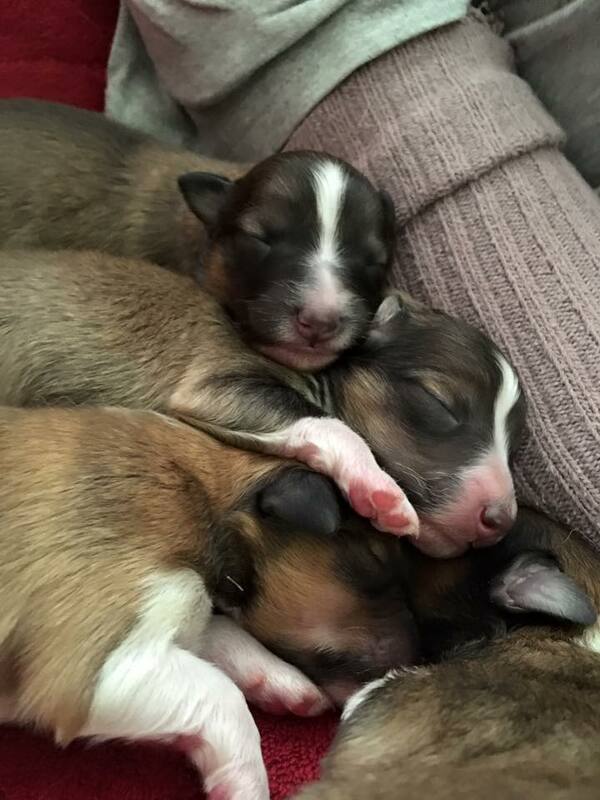 One week left (in theory) until pups arrive! Today I captured one of Sky's little quirks - something I've seen in quite a few Shelties! 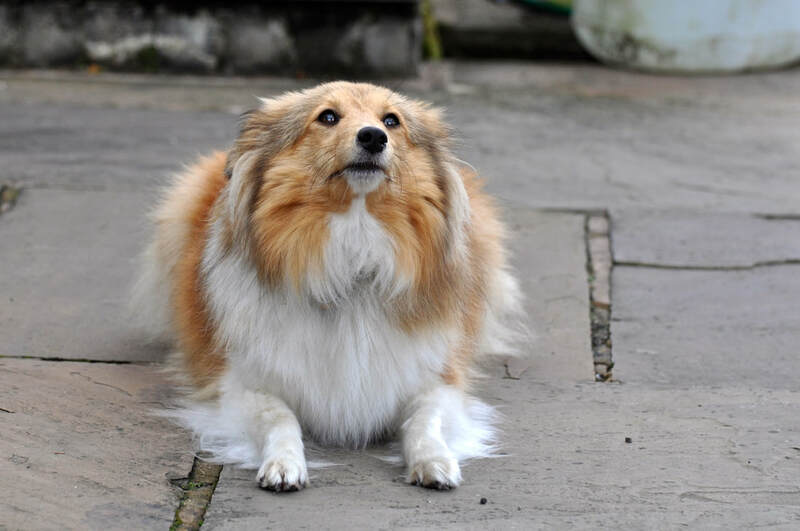 Sky, when she's intensely excited, 'smiles' - top lip curled right back, accompanied by a massive amount of wagging to the point of not being able to walk straight, then lots of kisses and cuddles! 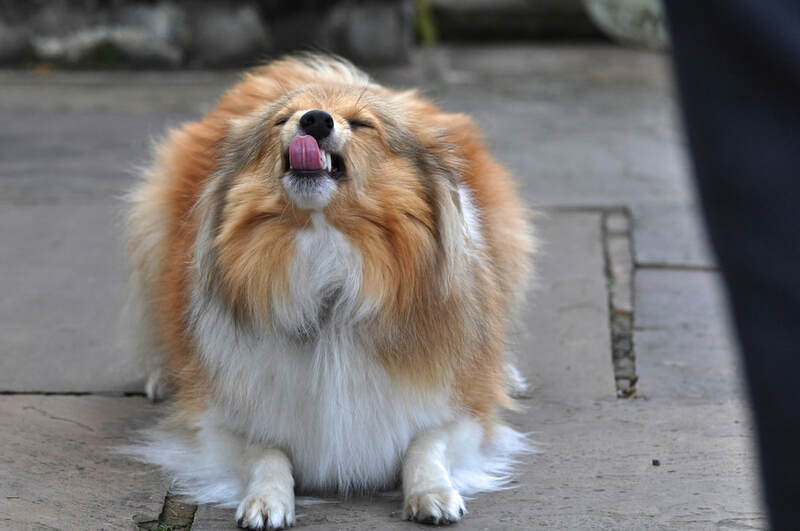 It's become her greeting to many people, though anyone who hasn't seen what dog behaviourists term the "submissive grin" might be a bit concerned! It's absolutely the opposite of aggression, and is a totally friendly gesture. 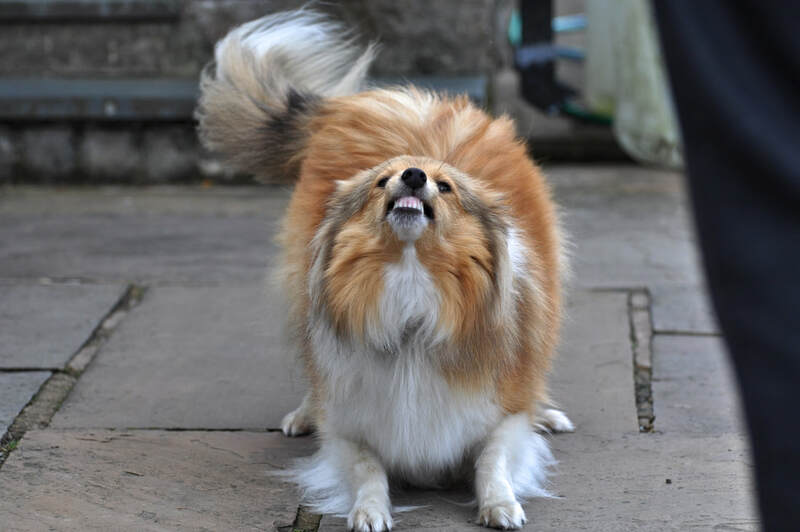 The body language in a dog indicates whether teeth being shown is aggressive or friendly - if bared teeth are paired with ears pinned back, whites of eyes being sown and hackles raised...back off! 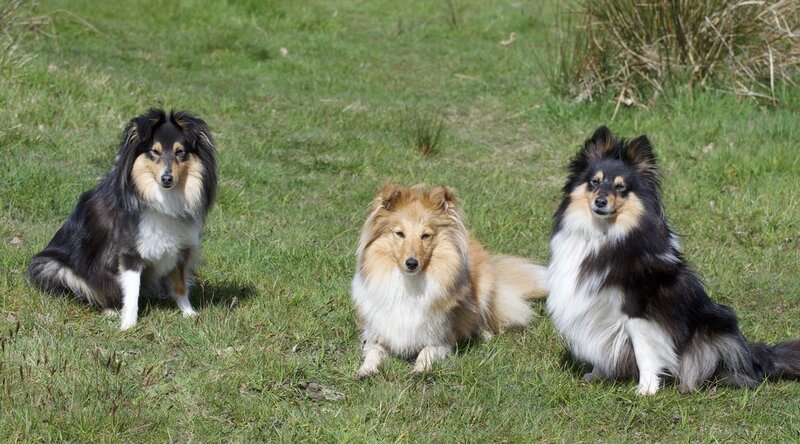 But many Shelties display this "submissive grin" as a sign of peace, and for many pets that progresses to a very exuberant greeting to their favourite people! Then she is released from her down and, still grinning away, she throws herself at him after this picture! So if you ever meet Sky, and you get the 'Sheltie Smile'....don't be alarmed! It's her own little way of making friends! Well here they are! Those circles are puppies! No definitive count, it's never accurate at this stage anyway. The important thing is, they are there, and there's more than one. ​They will be due the last weekend of this month....or thereabouts. I couldn't be prouder of Yoda's family, who have done a fantastic job in bringing him up to be a happy, confident and healthy boy. What's more exciting, is that he's now on our UK Stud List, ready to become a daddy! 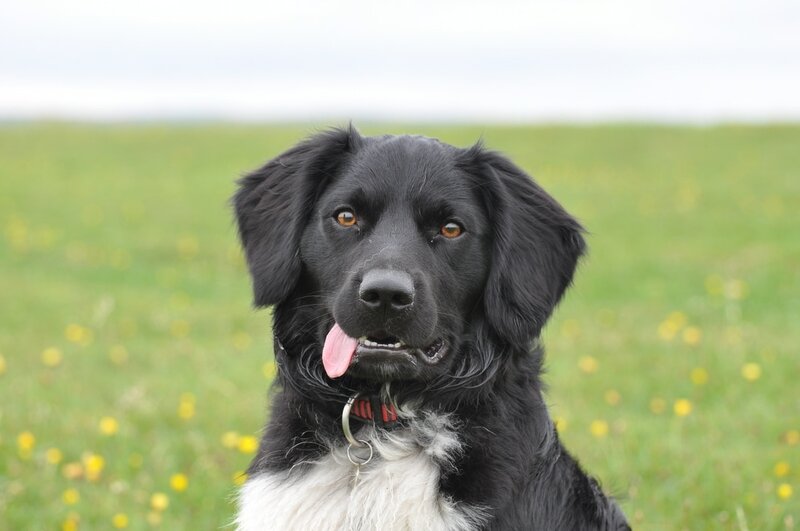 Qualifying a Stabyhoun for breeding isn't a simple task, so I am incredibly grateful for those in the next generation who are taking up the mantle and carrying on with the generations. Yoda, for one, I am sure will be a wonderful asset to our population. Eeek it's all very exciting! 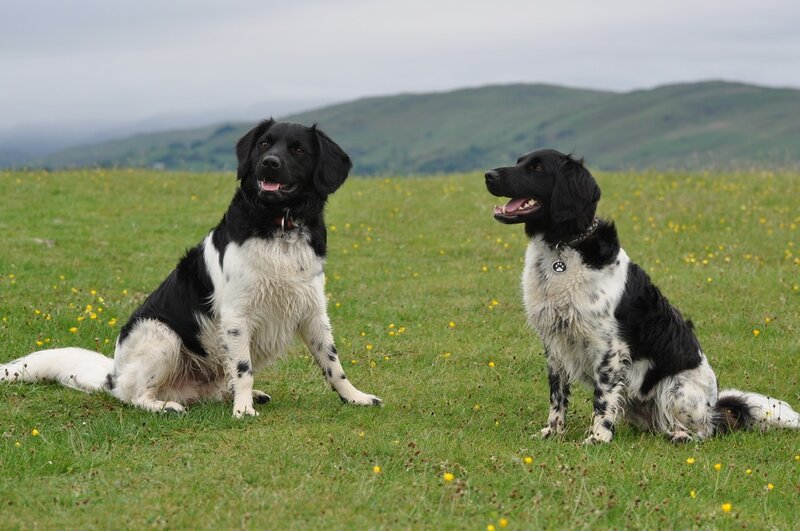 Just over 2 weeks ago we had a 'successful' mating between Sky (Athena's Fancy for Briarmere) and the lovely Toby (Ch Mistmere Blackthorn at Shelridge). It's too early to tell yet, but we should know in the next couple of weeks. 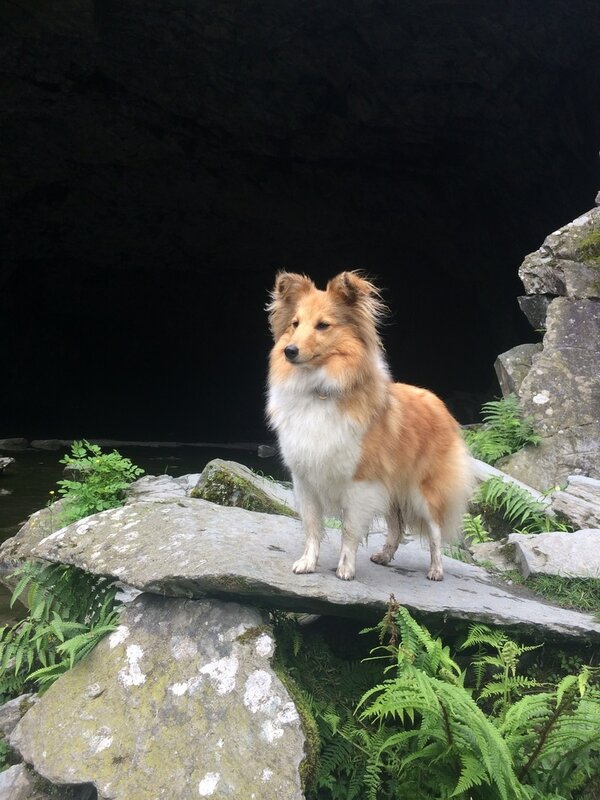 Watch this space....but for now here is Sky, posing outside of Rydal Cave this weekend. 7:30am - best time to have the place to ourselves! Some Catching Up To Do! Well it looks like we've had a year off....not quite though, but it's been our first year without any puppies for 4 years! So I have a few catch up posts to make from last summer, mostly Stabyhoun related, so Sheltie fans, bear with me. Just to keep you happy, here's a couple of pictures of a now fully grown Sky. Just yesterday we got a conformation certificate that she is Genetically CEA clear, which is great news. 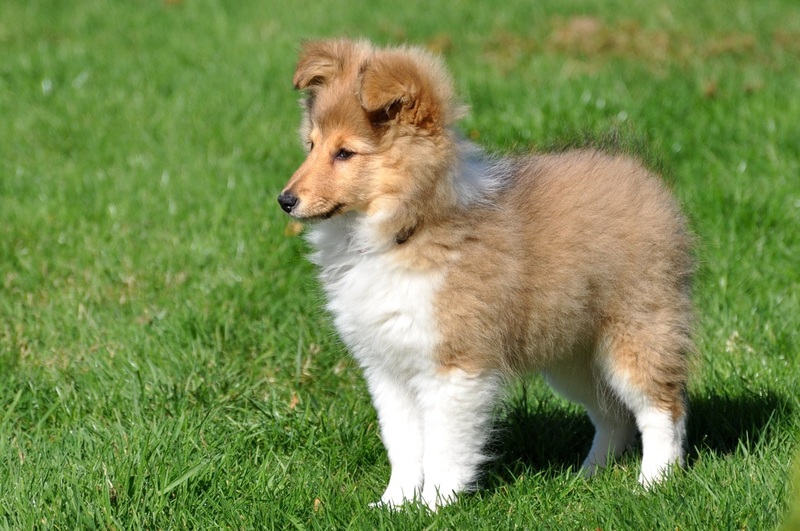 She has grown to be an extremely quirky little dog, with a taste for agility activities. Incredibly willing, and very easy to live with, she's very much a part of our family. 3 weeks old means....time to start weaning! 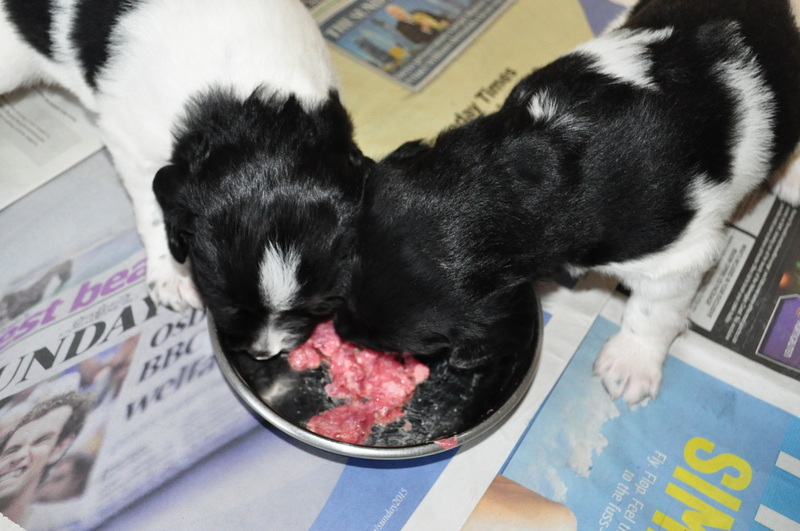 They're starting to cut their teeth, and showing an interest in Mieke's food, so they had their first little meal today - nice fresh turkey! Avery noisy affair, but full and contented stomachs after! See some more pictures from today here. 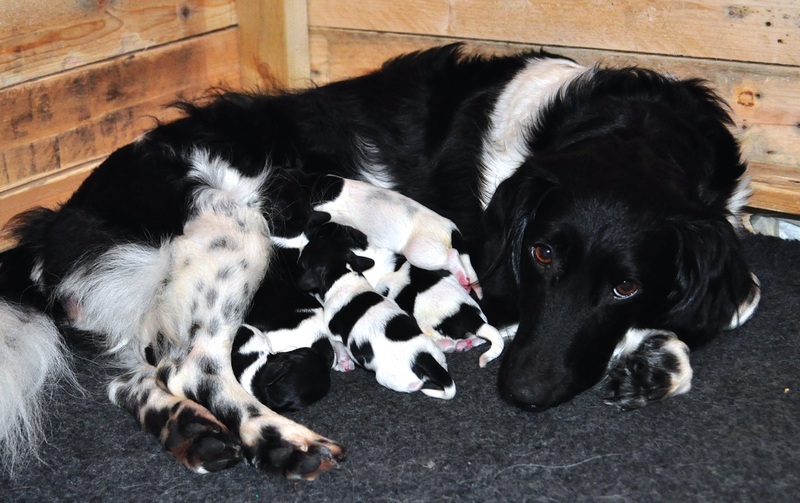 OnThursday 12th November Mieke whelped her long awaited litter, and gave us four girls and three boys - we are very proud of her! It was a wonderfully simple birth, no problems or nail biting moments, definitely the easiest litter by far we've had the pleasure to bring into the world, we really could just watch and enjoy....not long though until the chaos begins! 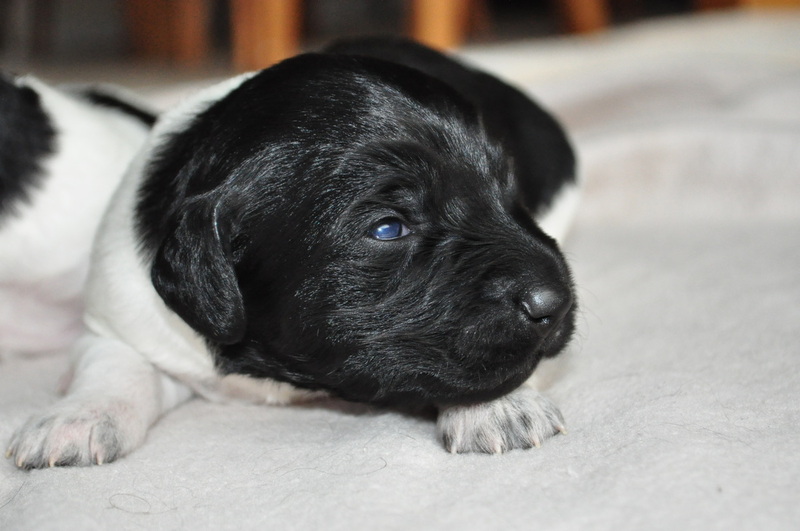 A quick picture of Mieke and her newborn litter to start you off, all news and updates on them and lots of pictures as they grow up can be found on the Puppies and Litters page. Welcome to the family....Skye! We had an offer that we couldn't refuse from the prestigious Kyleburn kennels in Buckinghamshire, she's been with us for about a month now but we've had such a hectic time I haven't been able to post. Find out more about her on her own little page! 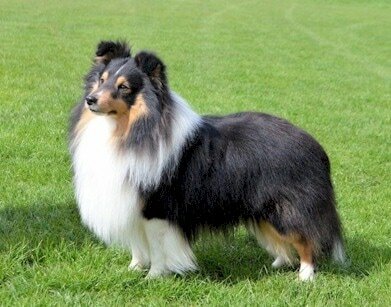 Breeding, feeding and life in a Sheltie and Stabyhoun household!